Tristan R. Brown, Ph.D., J.D. is an Assistant Professor of Energy Resource Economics at SUNY's College of Environmental Science & Forestry and an attorney. He studies energy policy, environmental policy, and the issues that surround both. His research focuses on the role that renewable energy can play in our existing fossil-based economy. He has published more than 20 peer-reviewed articles and co-authored two books on renewable energy economics and policy. 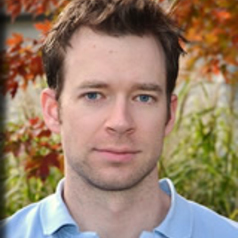 He holds a Ph.D. in Biorenewable Resources and Technology from Iowa State University, a J.D. from the University of Missouri, and a B.A. in Political Science from the University of Iowa. He has also been a member of the Missouri Bar since 2009.